I had a pair of shorts that were fairly low-rise and were too tight on my hips. I decided to turn them into a skirt! 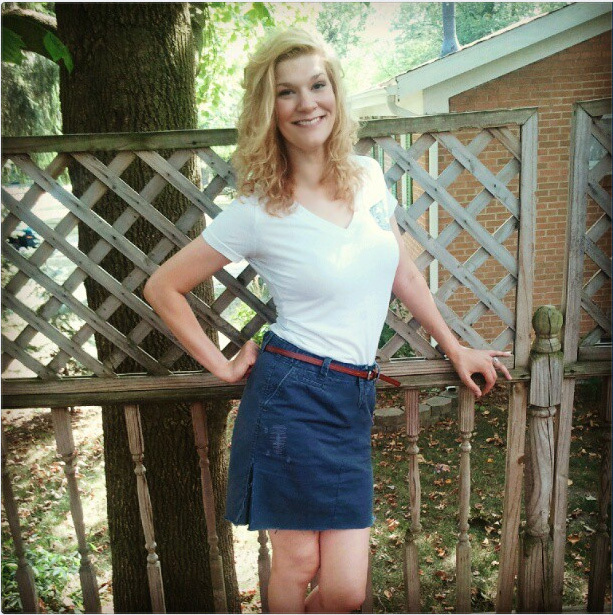 As a skirt, I’d be able to wear the item a bit higher on my waist, and therefore it wouldn’t be too tight. Now this is a bit confusing because these next two pictures are of a different pair of pants I was attempting to do this same transitions with… It didn’t work out (sometimes too tight just means too tight) but these images will help guide us through the next two steps. First cut open the leg seams all the way through the crotch and down the other leg. 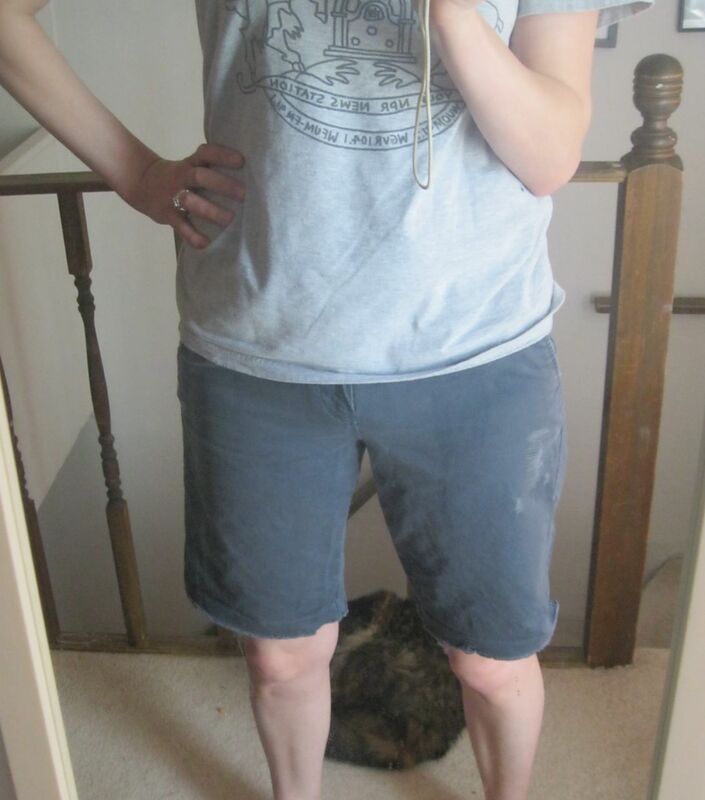 Turn your shorts or pants inside out and lay flat with “legs” together. Draw a guide line smoothing out the curve of the rump and the little point on the… ahem… crotchal region. 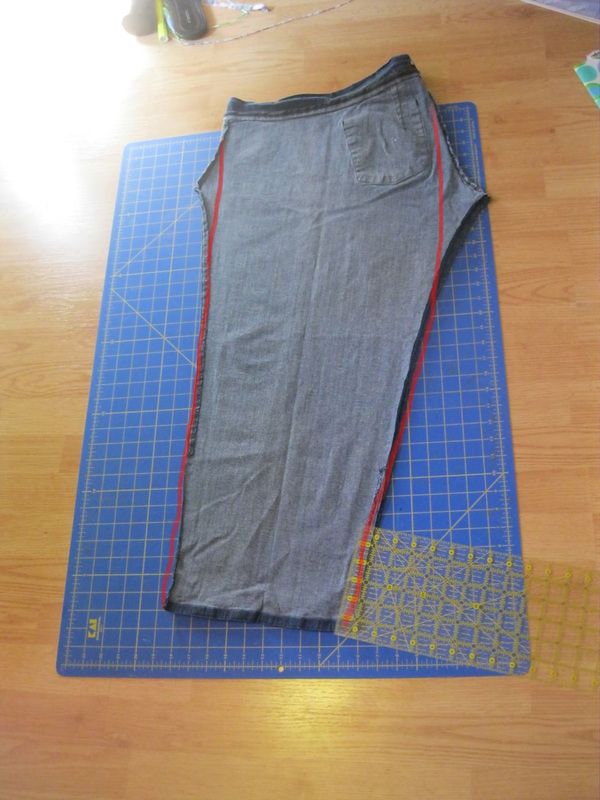 Sew down the line and down the pant leg. 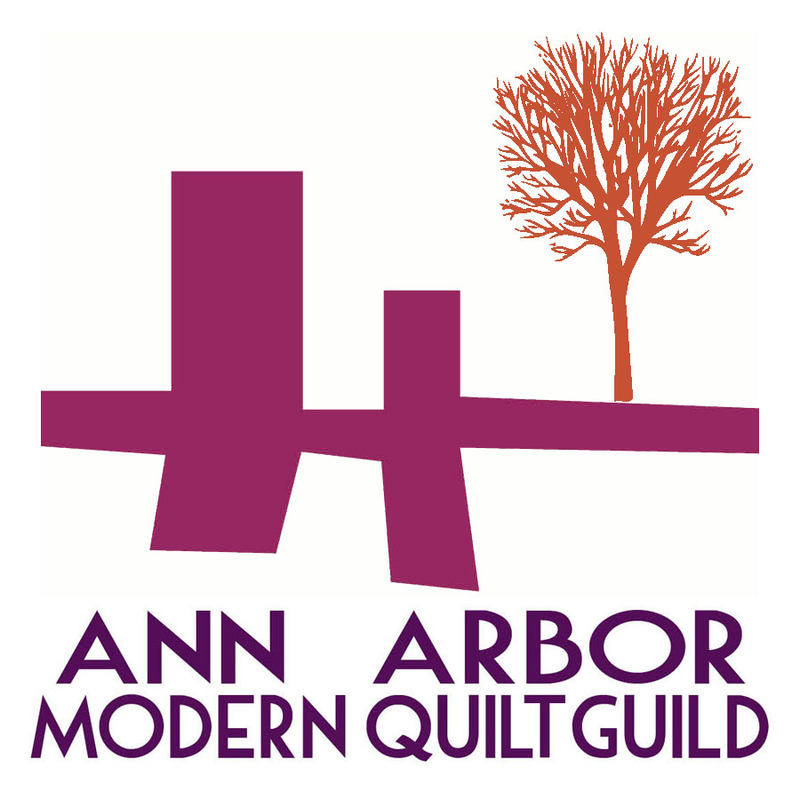 Try on your tube (it may be super snug) and find out where you’ll want the hem to be. 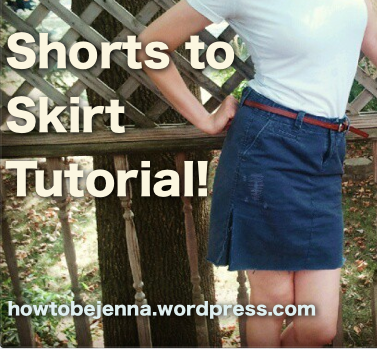 Cut the skirt to desired length. Go back and reinforce seam stitches. 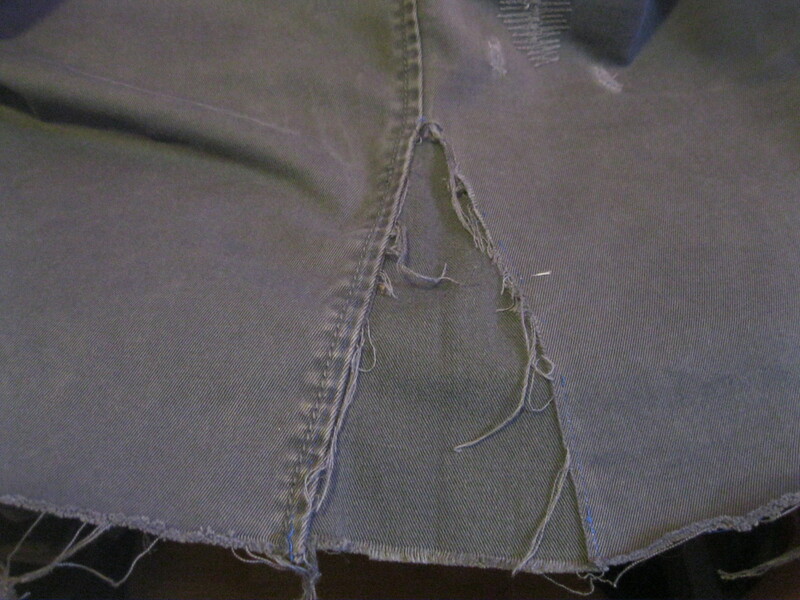 If you want, you can hem the skirt with a blind-stitch or top-stitching, but I chose to let mine fray. And yes, this was too tight to be functional – as someone who is often running and chasing and wrestling little boys. So I added some little “pleats” into the sides. 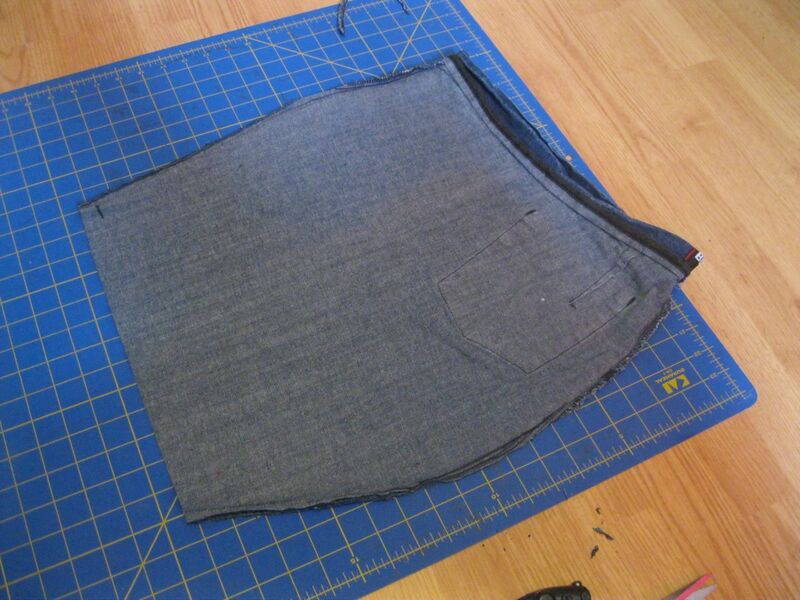 I slipped some scrap fabric behind a slit in the sides and top-stitched the triangles into place. I didn’t turn the fabric under here, because I was cool with the frayed/raw look. 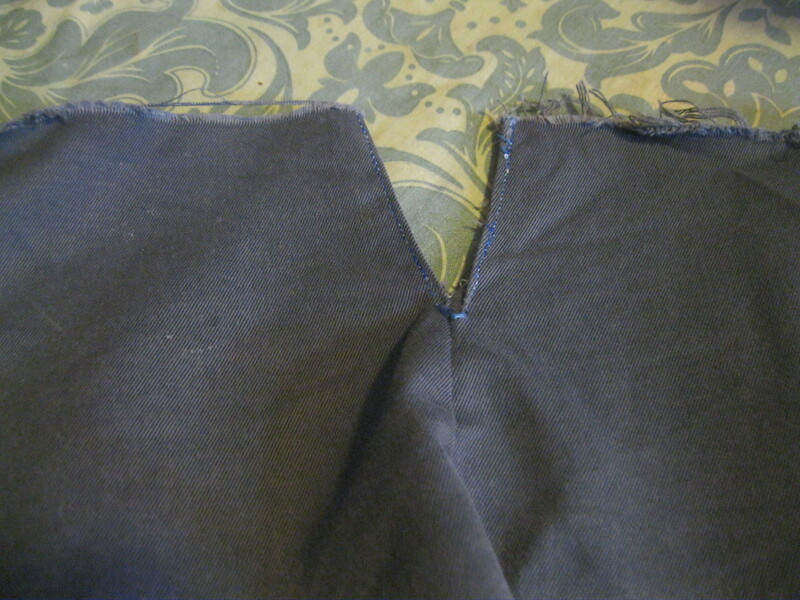 And then in the back, I cut a little slit and turned the edges under, top-stitching in place. Now it is a very comfortable skirt!